Only some women are gifted by flawless skin that won't need much makeup, just a few tabs of compact powder after their regular moisture will Make them perfect. But woman like me with all kind of imperfections including dark circles and dark spots Will need a perfect foundation and a concealer to hide them. I have light dark circles around my eyes which is so annoying while doing makeup. My skin tone is 2 times lighter than my under eye eye area. when I apply foundation the under eye area and dark spots looks very ashy in colour and gives an uneven finish. 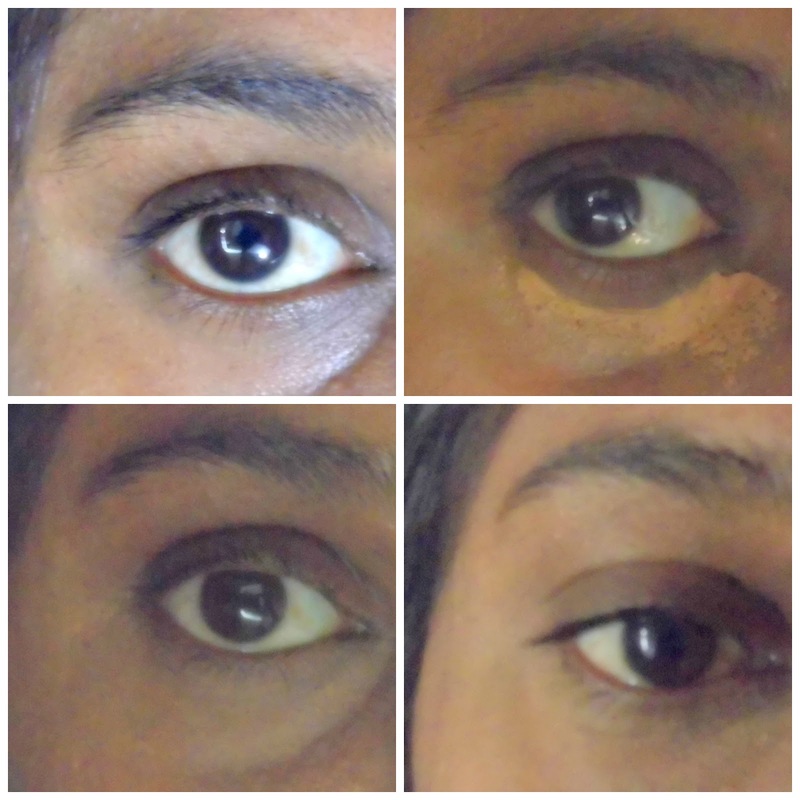 I have tried few concealers which are not at all suitable for me. If one concealer looks lighter and the other concealer will looks darker. A small bowl or a plate. As a makeup enthusiast I have lot of foundation and compact powders in different shades. I have a dark foundation from coloressence which is unused and was sleeping in my kitty. Also the translucent powder from Kryolan which I have recently reviewed is very light shade for my skin tone. So I chosen these two products to make my own concealer at home. We need a moisturizer to loosen up the powder texture, I have my cetaphil moisturizer here. I am ready with a plate, spoon and an empty container. Now let us start the procedure. It is nothing bit very simple and you can make it just like that easily, but the results will be amazing. Make sure the plate and spoon are sanitised well before start using them. First make the liquid base before pouring the powder in it. Take a very little amount of moisturizer in the plate. Because too much moisturizer may make the concealer less pigmented. Now add the foundation to the moisturizer. You can take 4 times more than moisturizer content. Now mix both of them well using the spoon's tip. Note: If you don't have liquid foundation like this, use a liquid moisturizer (lotion should not be used). So that you can neutralise the liquid base. Now add the loose powder slowly until the liquid mixture and the powder become a semi solid state. When you are satisfied with the texture now mix all of them very well. 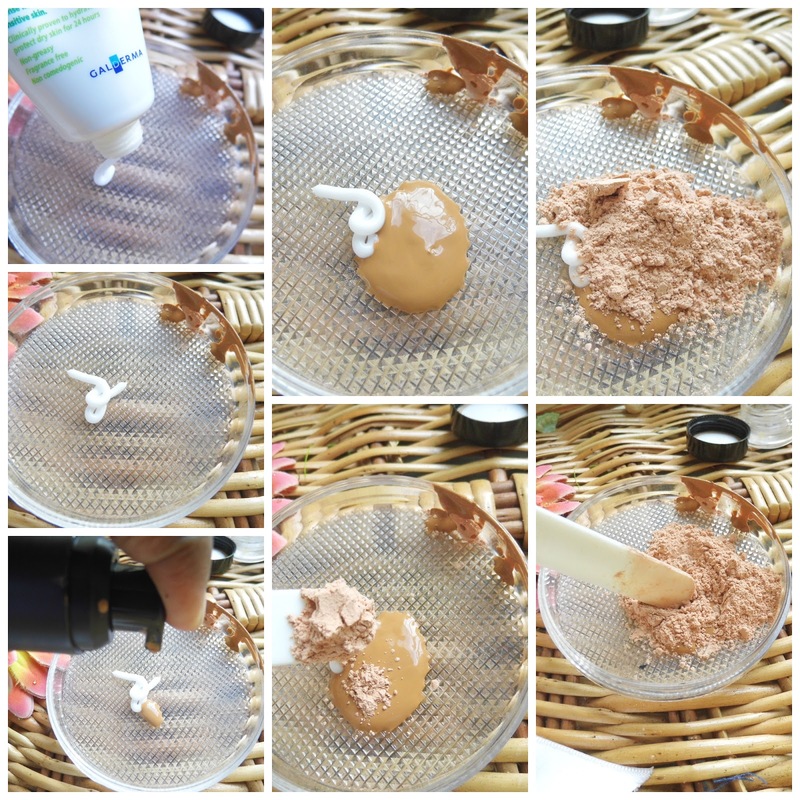 If you feel the texture is too loose you can add little bit powder to make it thick and if you find it very tight you can add only one drop of foundation. Now the concealer is ready to use. Be sure that you didn't touch the concealer by your fingertips (for hygienic purpose). 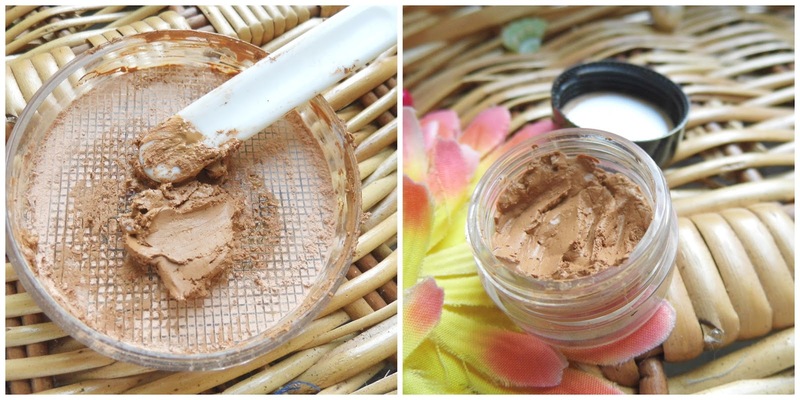 Now your own home made concealer is all ready to use. 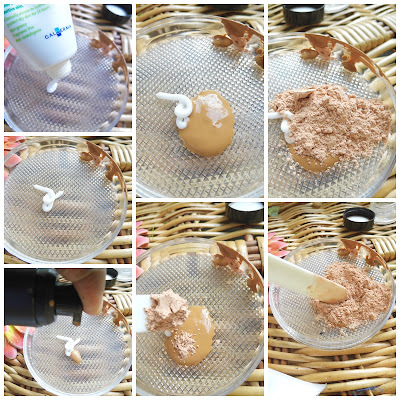 For test it on your skin take the spoon's tip, you must find some concealer left over there. Now take the container and carefully fill it with the concealer and close it well. I tried to show how the concealer looks on my eyes here, please forgive me for the blurred pictures, because the gloomy whether is not cooperating with my camera.